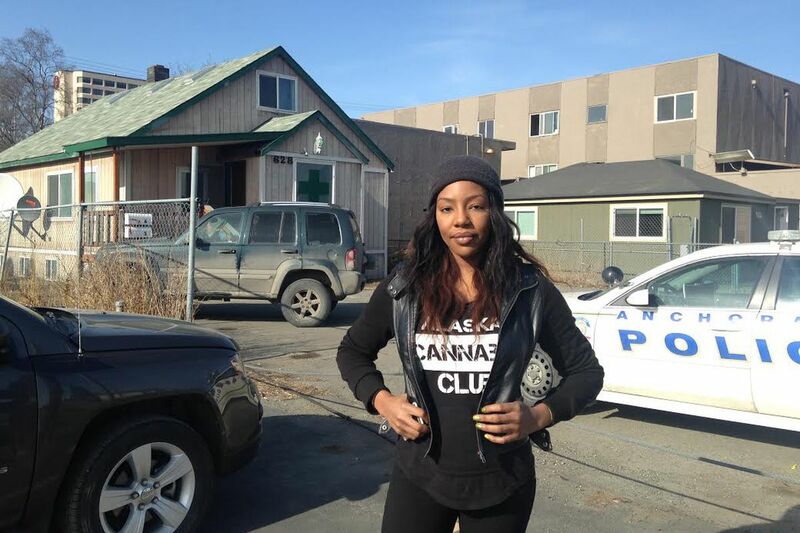 Charlo Greene has entered into a plea deal with the state on charges that she illegally sold marijuana three years ago through the Alaska Cannabis Club. Greene, whose legal name is Charlene Egbe, was the owner of the Alaska Cannabis Club and a former Anchorage television news reporter. She achieved national notoriety in 2014 after quitting on air and revealing herself as the owner of the club. She's since written a book and has posited herself as a cannabis entrepreneur and personal coach. On Monday, Greene agreed in Anchorage Superior Court to plea guilty to one count of misconduct involving a controlled substance in the fourth-degree, a felony, according to court documents. The remaining 13 charges against her will be dropped. She will pay a $10,000 fine and will forfeit the items seized at the time of her arrest, according to court documents. She'll serve no jail time. In October 2015, Greene was charged with 10 felonies and four misdemeanors. The state said Greene sold marijuana to undercover officers in her downtown Anchorage clubhouse, and in two subsequent raids police found more than 6 pounds of pot there. Greene said at the time that the club was a community of medical marijuana cardholders and that cannabis given to club members was donation-based. Sentencing in Greene's case is scheduled for Nov. 19. Neither Greene nor her attorneys immediately returned request for comment. Three other people — Rocky Burns and Larry Stamper, the owners of Discreet Deliveries, and Michael Crites, owner of Absolutely Chronic Delivery Co. — still face charges for allegedly running marijuana delivery companies. For all three, the charges include an unclassified felony for allegedly running a criminal enterprise. The charge carries a minimum sentence of five years and a maximum of 99 years. An attorney for one of the defendants last year called the unclassified felony "very vindictive," according to an Anchorage Daily News article from June 2017. All, including Greene, were charged after marijuana was legalized in February 2015 but before cannabis businesses started receiving state licenses in June 2016.